The Half Term holidays are just around the corner and iCarhireinsurance.com released this press release earlier today. Five out of seven family-favourite destinations this October half-term will require travellers to pay over 100% again for their car hire once added extras are bought at the rental desk. According to research by iCarhireinsurance.com, the leading stand alone provider of car hire excess insurance, the headline price only represents about half of the total cost that is needed by families for a week’s car hire. In Tenerife, for example a family hiring a VW Golf, or similar, will pay on average £151 for the week’s hire but will pay out £262 at the rental desk when they pick their car up - an extra 174%. This is paying £53 for a child’s car seat, £54 for an extra driver costing, £56 for a sat nav and car hire excess insurance, to protect them against the first part of any insurance claim (which can be up to £1500), costing £99 for the week, making a grand total of £262. Car hire insurance is the biggest single outlay at the rental desk, and families could be paying up to £310 for a week’s cover in Milan with Europcar, £240 with Budget in Dubrovnik and around £200 in Faro also with Europcar. When an iCarhireinsurance.com daily cover is only £2.99 (from £39.99 for an annual policy), this is a hefty price to pay. An iCarhireinsurance policy also protects vulnerable parts of the vehicle, including the tyres and windscreen, which are frequently excluded from rental desk companies’ policies. In Nice, for instance, Europcar charges £129.67 for an additional excess policy for tyres and windscreen, while Sixt charges a more reasonable £30.19 – these are on top of their standard excess policies. - Barcelona: The average price to rent a car was £168, while the cost of the extras of car hire excess insurance (at £114), an extra driver (at £57), a child’s car seat (at £66) and a sat nav (at £74), totals £311. Therefore a consumer is paying an additional 185% more! 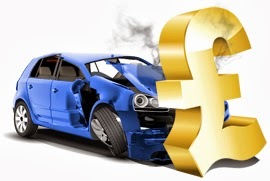 - Faro: The average price to rent a car was £240, while the cost of the extras of car hire excess insurance (at £121), an extra driver (at £32), a child’s car seat (at £57) and a sat nav (at £58), totals £268. Therefore a consumer is paying an additional 112% more! - Dubrovnik: The average price to rent a car was £314, while the cost of the extras of car hire excess insurance (at £128), an extra driver (at £26), a child’s car seat (at £44) and a sat nav (at £80), totals £278. Therefore a consumer is paying an additional 89% more! - Tenerife: The average price to rent a car was £151, while the cost of the extras of car hire excess insurance (at £99), an extra driver (at £54), a child’s car seat (at £53) and a sat nav (at £56), totals £262. Therefore a consumer is paying an additional 174% more! - Milan: The average price to rent a car was £217, while the cost of the extras of car hire excess insurance (at £168), an extra driver (at £48), a child’s car seat (at £94) and a sat nav (at £94), totals £404. Therefore a consumer is paying an additional 186% more! - Cyprus : The average price to rent a car was £179, while the cost of the extras of car hire excess insurance (at £59), an extra driver (at £24), a child’s car seat (at £29) and a sat nav (at £53), totals £165. Therefore a consumer is paying an additional 92% more!